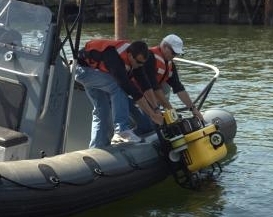 Autonomous underwater vehicles (AUVs) are a cost-effective platform to scan the bottom of arriving ships at the entrance of ports. High-resolution sonar can detect unknown objects like bombs or smuggling containers attached to the vessel bottom. Recent channel depth increase to 50 feet to allow for larger “New Panamax” and “Post-Panamax” vessels. This increased the available clearance under shallower draft hulls increasing the ability to attach objects under hull. Low capital costs compared to alternatives. 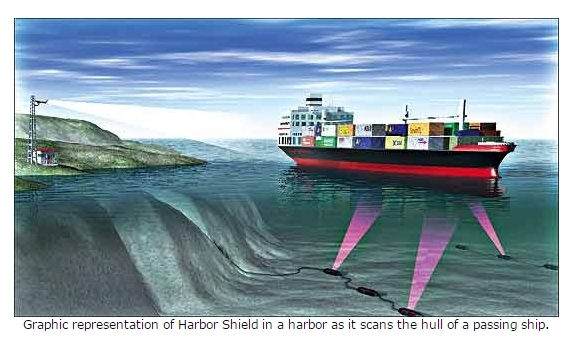 Battelle is working on their Harbor Shield project using stationary sensor arrays to inspect cargo hull exteriors for explosives and other contraband in vessel traffic lanes. While presumably effective, the more permanent cables would be more expensive and unable to relocate quickly to different strategic positions. Both of these examples validate the need and interest for new technology.